Of course, when I travel to talk to people about beer, I often find that there isn’t a lot of understanding about the difference between German-style beers and others. At the end of the day, it’s all about malts, hops and yeast for any beer, but the beer heritage in Germany is deep and unique. Altbier: This is a style on which I cut my “good” beer teeth at my local brewery back in the 1990s. It is copper in color, cool-fermented, medium-bodied and ultimately just really drinkable. I love that there is a slightly dry finish to these beers. Great with a pretzel and beer cheese. Sierra Nevada brewed a version of this with Victory this year. Berliner Weisse: Sometimes called “the people’s champagne,” this is a tart, spritzy, refreshing beer that is low in alcohol and high in drinkability, especially in summer months when you need a thirst quencher. This is one that can only be brewed in Berlin, so you may not run across it at your local event. Then again, this isn’t Germany. Florida brewery Funky Buddha does a Berliner Weisse series you may want to check out. Bockbier: Now we’re talking. This is a beautifully robust beer that usually is consumed in spring, but is perfect for fall and winter as well. It’s dark in color, heavy and malty, yet a smooth and drinkable beer that begs to be sipped and savored. Oh, and word to the wise: they come in at more than 8 percent ABV. La Trappe makes one of the world’s more popular bocks; proceed with caution. Doppelbock: Another bock-style beer that is a heavier version of a Bavarian bock. Starting at 7 percent ABV, this is another one that begs a designated driver. Or at least a really sturdy liver. My favorite Doppelbock is Celebrator, which comes from Ayinger. So smooth. Dunkel: This is basically a mild, dark lager beer that is malt forward and gently hopped. Coming in at around 5 percent ABV, it’s drinkable and perfect for a fall romp in a beer garden. Keep your elbows up. And if you’re looking for a Dunkel outside a festival, Hacker-Pschorr makes a classic version. Hefeweizen: Some call this Weissbier, but it’s an unfilitered, easy-to-drink wheat beer. More of a summer beer, but hey, if you’re offered one at an Oktoberfest event, you’d be a fool to turn it down. Hefeweizen and Weissbiers are everywhere (think Blue Moon and Shock Top), but I have a buddy that swears by Schneider Weisse. Helles: A straw-colored, drinkable beer, this is a perfect entryway into German beer for the beginner. It usually comes in around 5 percent ABV, and if a light beer drinker can’t get through one of these without making a face, he or she probably should stick with iced tea. Helles is closely related to a style known as Dortmunder – check out Great Lakes Dortmunder Gold. Kölsch: A German ale (not lager), Kölsch is the beer of Cologne and is one of the lighter entries into German brewing. It’s kind of a lighter cousin of Altbier, but employs a special yeast that helps give it a slightly fruity flavor. Reissdorf Kölsch is a classic example of this summer favorite. Märzen: This might be considered the beer that founded Oktoberfest, as it came to be an annual October beer release. Wanting to get rid of it fast to make way for winter beers, German brewers began holding festivals to move it along. Thus, Oktoberfest. It’s an amberlager with a kick, sometimes yielding over 6 percent alcohol. Hundreds of these are currently on the market, from Sam Adams to Paulaner. Hell, why not try ’em all? Pils or Pilsner: If you’re drinking a beer as you read this, there’s a good chance it’s a pilsner (or pilsener). Why? Because 9 out of 10 beers consumed worldwide are pilsners. You can chalk that up to American light beers technically being pilsners, but the fact is it is the world’s most popular beer style. It’s ultra-light and drinkable, perfect for those long sessions of watching football and flirting with bartenders. Look no farther than Pilsner Urquell. Schwarzbier: A black lager that might fool people with its surprising drinkability, given its dark appearance. It’s rich and mild, with a subdued, malty character, lacking the hop bite of many light lager style beers. If your friends are the kind of people who think “dark” beer is a style, you could probably quaff a couple of these and convince them you’re drinking motor oil. Grab a Sprecher Black Bavarian and hold on to your taste buds. That’s the short list. 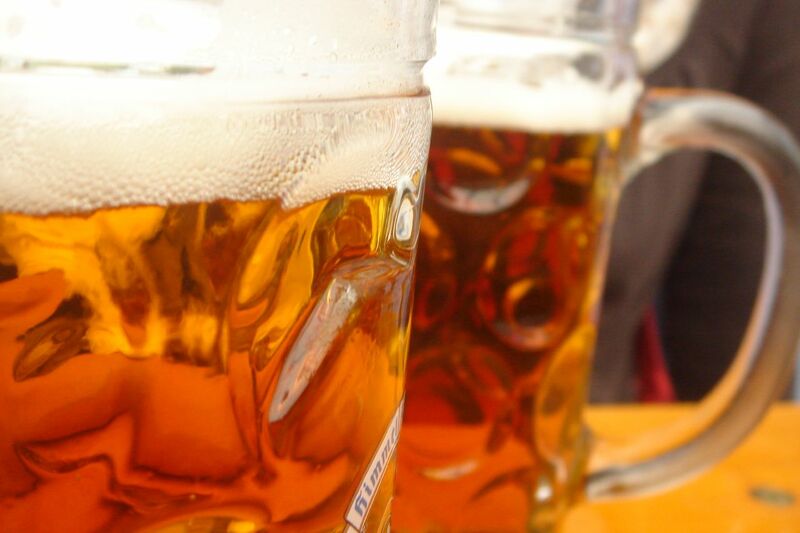 When you head to your nearby Oktoberfest to hoist a few lagers and do the chicken dance, that should get you started – maybe you can try one of each. 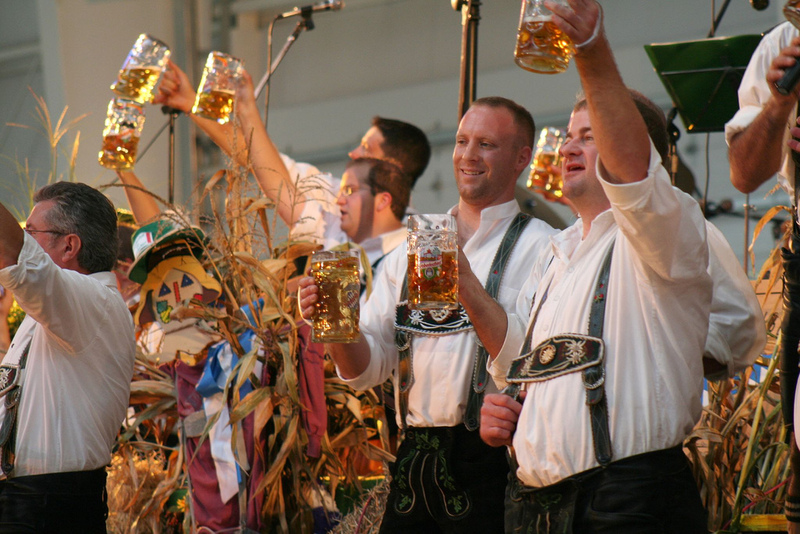 For a list of Oktoberfest celebrations across the U.S., check out Gayot.com.